As the saying goes practice makes perfect. With over 30 years of experience you can bet on us to get the job done exactly to your specifications. Are you in the Hickory area? Education and experience don’t count for much if you don’t present yourself in a professional manner. Handi-Care, Inc. makes sure that every member of our staff always presents the image we want our company to have. We are the area leader for In Home Elderly Care. Browse through our website to find our more information. Please give us a call at (828) 437-8429 if you require any additional information! When it comes to Home Care in Morganton, Hickory and Lenoir we are the clear choice. We have been providing care throughout these areas for over 30 years, you can place your trust in us! If you need help with Personal Care Services then Handi-Care, Inc. should be the first place that you call! We are premier Personal Care Services specialist in Morganton, Hickory and Valdese. Handi-Care, Inc.: Morganton, Hickory and Lenoir In Home Elderly Care, Home Care and Personal Care Services Specialists! It’s time to consider help for you or your loved one. You’re looking at your options. Staying in your own home and being independent are important issues. You need assistance and home care may be the answer. Handi-care Inc. has the trained professionals to help, whether your needs are simple or physically demanding. Whether the situation is age related or related to recuperation from an injury, we can offer the needed assistance right in the comfort, privacy, and security of your own home. We understand what a difficult decision this is to make, which is why we encourage your questions. We are always available to give you the answers you need to make the right decision. We understand the range of emotions a decision like this can create. Guilt, confusion, and fear are some of the emotions you might be feeling. We want to ensure you that taking the first step of reaching out to Handi-Care can help you resolve and work through many of these feelings you may be experiencing. Home care assistance can help improve the health, safety, and activeness of you or someone you love. Contact us today to schedule a free, in-home assessment. Qualified recipients may be eligible for Medicaid assistance. If you have questions regarding your current medical care coverage or would like additional information about our home care services, please give us a call or send us an email. 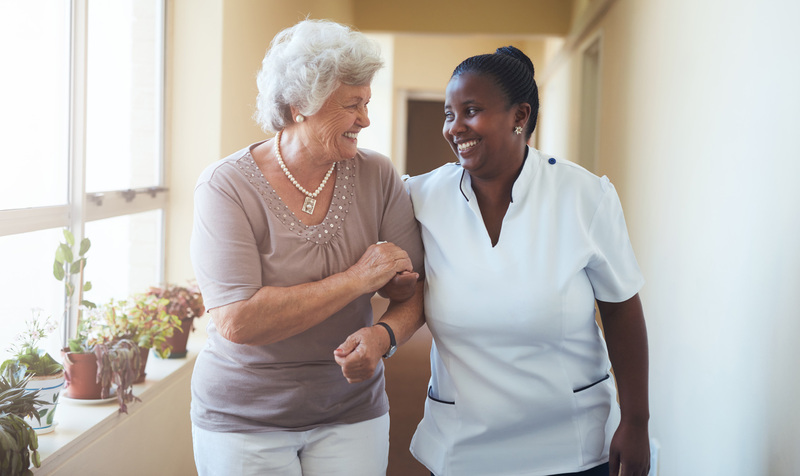 We’ve helped many people in and around our area gain peace of mind through home care, and we look forward to the opportunity to offer that same level of commitment, dedication, and care to you or a loved one.